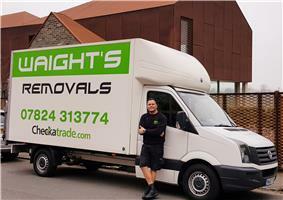 Waights Removals - Cleaning Services, Removals/Storage based in Brighton, East Sussex. We are a strong honest hardworking Family Business, who want to make moving homes less stressful! We always consider the safety of your property as our priority and always make sure you're happy before leaving...so give me a call and let us take the WAIGHT off your shoulders. We also take all aspects of cleaning, contract cleaning, business cleaning, and carpets.